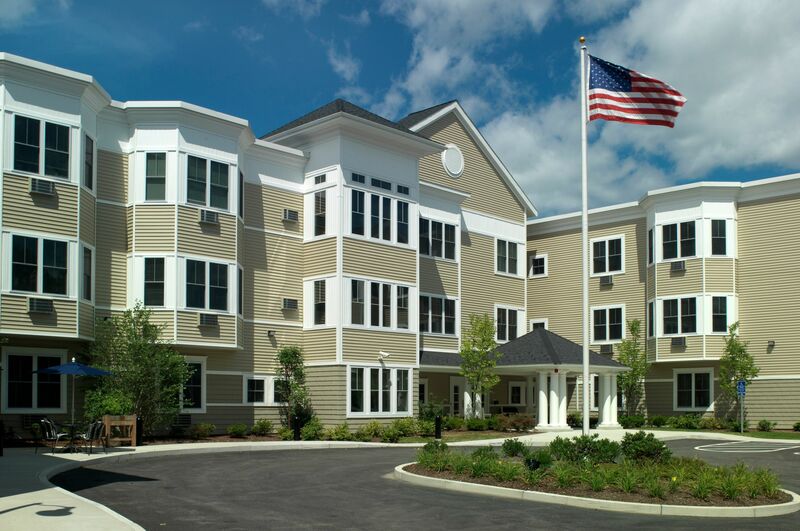 Christopher Heights of Marlborough - SMOOK Architecture & Urban Design, Inc.
Christopher Heights is an assisted living facility in central Massachusetts. The former “Brownfield” site was originally the home of a Frye Boot Factory, which closed in the early 1970’s. The site was reclaimed and restored for new development. The new 55,000 sf, 83-bed facility was designed around a central courtyard, which serves as the main entry and a quiet respite from the well-trafficked Pleasant Street. The design and massing of the exterior was inspired by the grand homes of 19th-century New England. Steep roof lines, towers, and window bays break down the scale of the 17,000 sf floor plates. 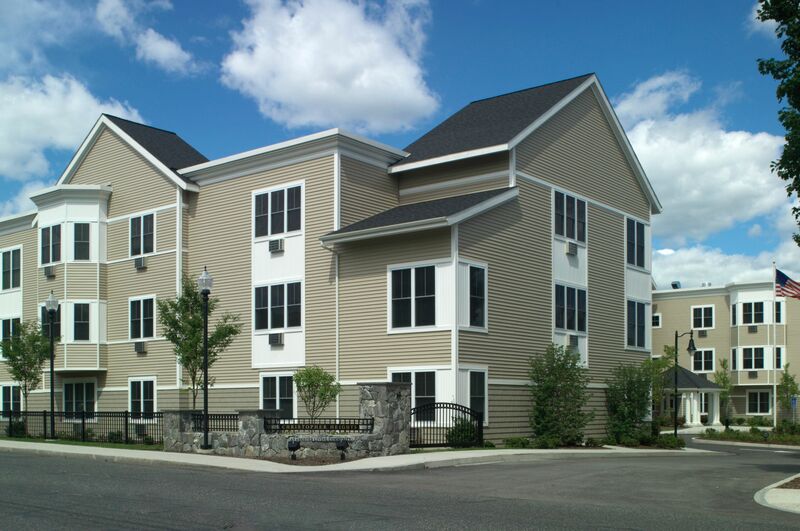 A variety of siding types including shingles, clapboards and vertical bead board are all used form a strong base, middle and top to the building, and lend human scale and detail to the facade. 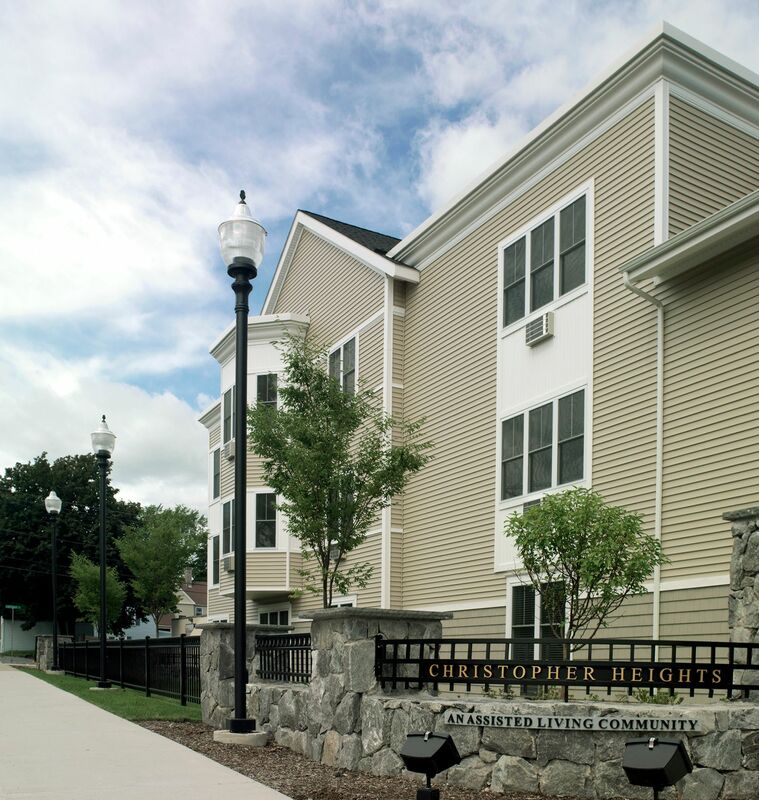 This is the fourth building in the “Christopher Heights Family of Assisted Living Facilities.” In 2009, this project received the prestigious “Performance Award” from the AGC Build New England Awards Program (The Association of Commercial & Institutional Builders).